Air Transat has announced passengers can pre-order their meals on flights booked for 1NOV onward. 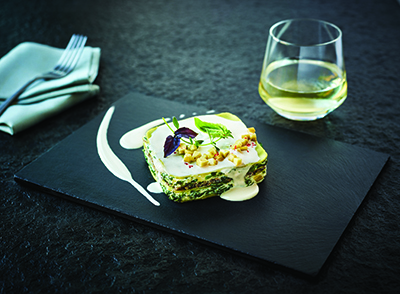 As part of the winter 2018-2019 edition of the airline’s ‘Chef’s Menu by Daniel Vézina’, passengers can choose between the new artichoke and spinach lasagna with ricotta or any of the five other dishes as well as the two breakfast options that are returning this winter. The winter 2018-2019 meal options will be served for free to all passengers in Club Club; for passengers in economy, the meals are available in limited quantity and can be purchased in advance, up to 48 hours before the flight, for $25 for lunch/dinner and $15 for breakfast.